By far the most popular of the Brussels Sprouts, the Long Island Improved Brussels Sprout is an heirloom variety that’s been producing delicious miniature-like cabbage heads for over 100 years! Great on your dinner table as an accompaniment to any meat or salad dish. 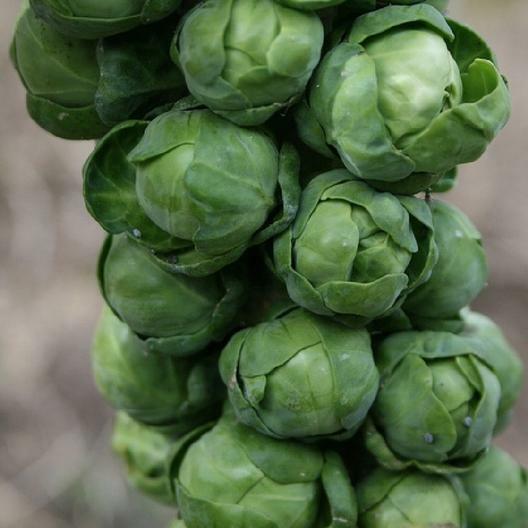 Plant Long Island Improved Brussels Sprouts seeds in spring, summer, or fall – this is a very durable variety that can withstand cooler temperatures. The compact 24 inches plant will yield up to 100 sprouts over an extended period of time.